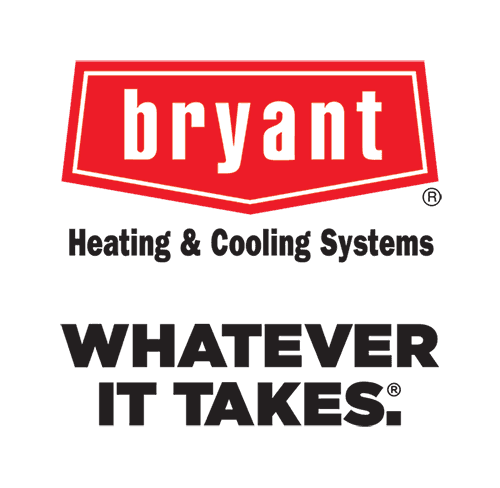 Bryant®, a division of Carrier Corporation, has been building durable and hard-working furnaces and air conditioners for over a century. Bushwood is proud to bring the quality and reliability of the Bryant® line to our customers. Bryant® is devoted to doing Whatever It Takes® to deliver the highest quality products. All Bushwood installs come with a one year labor warranty and can have as much as a ten year product warranty with proper registration. 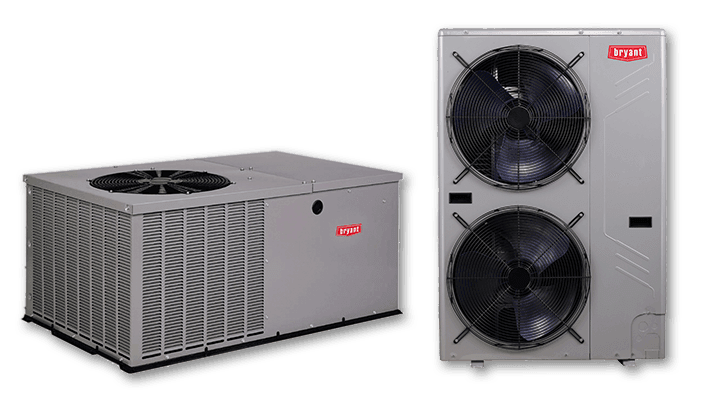 The Evolution® Series Air Conditioners feature quiet operation, efficiency ratings of 19+ SEER, and can be controlled from almost anywhere with the Evolution® Connex® control. The Preferred™ Series are a mid-tier system designed to operate with SEER ratings of 15 or higher. The Legacy™ Line provides cost-effective cooling where allowed by the Department of Energy minimum efficiency standards. The same lines are also available for furnaces and heat pumps. Call Bushwood today at (470) 251-4441 to learn more. At the touch of a screen, Evolution® Connex™ Control system provides complete control that works with Amazon™ Alexa™ and Côr™ Home Automation. 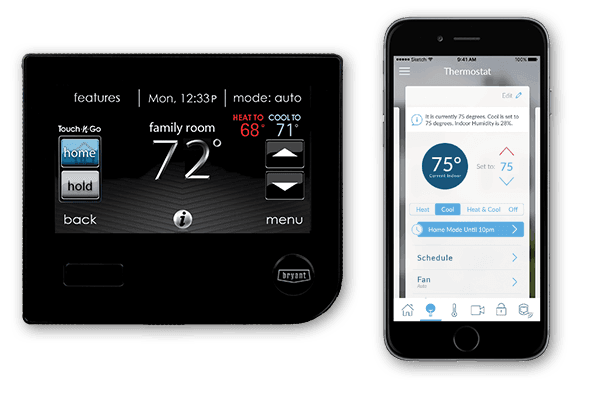 With Wi-Fi® Thermostats, you can control your home's heating and cooling anywhere you go. Forgot to adjust the temperature before you left? Going to be away longer than you thought? No problem. With the Wi-Fi enabled Housewise™ thermostats, you can easily manage your home’s comfort on the go. Bryant also offers Preferred™ and Legacy™ series programmable thermostats, as well as the Legacy™ Non-Programmable Thermostat if you only need the basics. 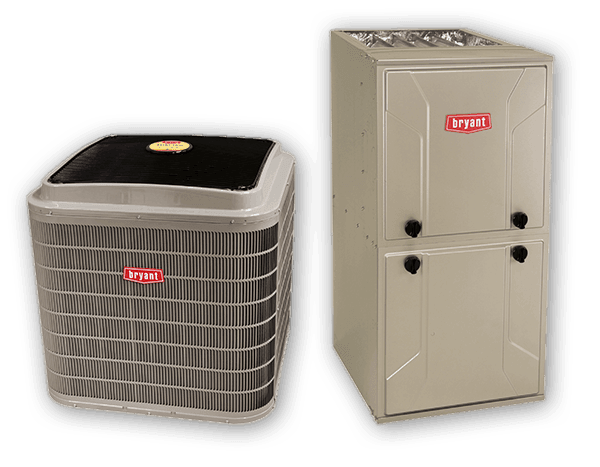 Call Bushwood today to discuss which system is best for you. 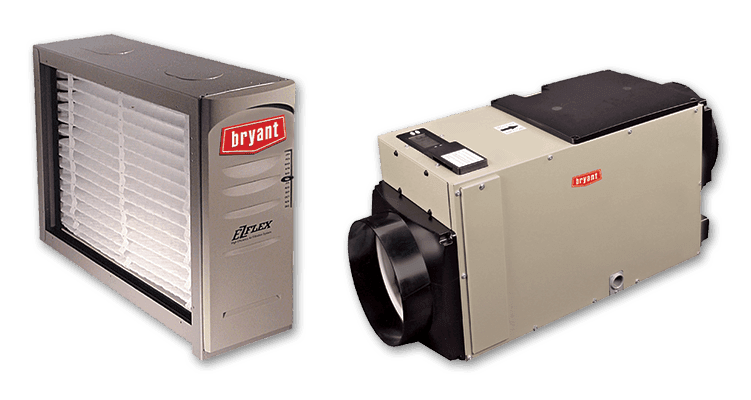 Bryant® offers a range of Air Purifiers and the Preferred™ Series UV Lamp to sterilize evaporator coils and maximize your system's efficiency. They have Carbon Monoxide Alarms for your safety. And they offer Humidifiers/Dehumidifiers and recovery ventilators for your family's comfort. Call Bushwood today to find out more. For our commercial customers, Bryant® VRF systems are available in 3-phase heavy commercial and single phase light commercial outdoor units. Also available are Preferred™ and Legacy™ rooftop units and Legacy™ Line Split Systems. Call Bushwood for more information.